DJI’s series of Phantom 3 aerial imaging drones ship with one flight battery in the box. 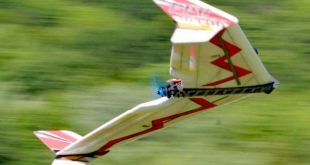 The majority of pilots probably pick up an additional flight battery or two soon thereafter. The primary reason for doing so is that most pilots prefer to spend their time flying instead of waiting for the flight packs to recharge. 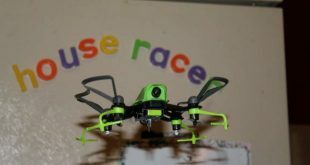 If you are entering the drone world from the RC car world, then there is a good chance you’ve heard the manufacturer name LRP before. 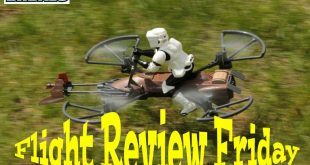 If you’re into or entering the drone world, then there is a very good chance, you’ve never heard the LRP name. UDI makes a couple of different machines that include a number of different drones as well as a few boats, but the Discovery FPV is their latest release. Packed with all the features that novices need and pros want, this little camera drone can ﬁll a vast number of roles for pilots of all types. Is This the Drone Transport Case You Need? In the very early times of my aerial photography adventures, I was traveling places mostly with my two DJI F550 copters sitting in the back of my car, with the rest of the gear neatly stacked around them. It was just a matter of time before I had to hit the brakes really hard one day, causing a bit of a land- slide and damaging one of the gimbals. Let’s have a look at the newest small form factor camera from Sony that gives drone users some distinct filming advantages to work with. The Sony A7Sii follows the Sony A7S, which made headlines for its prominent ability to shoot in low light. Polar Pro has been making filters for filmmakers for quite some time as well as products for GoPro and adventure sport applications. Having used many of the products in the past with great success, we were extremely excited to try out their new six-pack of filters and several specialty filters they make. 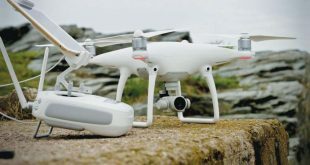 The world is abuzz with the announcement of the DJI Phantom 4 as it includes some groundbreaking new features for a unit of its size. By now everyone has heard about the modern advancements, upgrades and intriguing elements this little bird has to offer. Is the new Phantom 4 worthy of all this hype? Those who are familiar with the consistent advancements within the drone industry over the last year, have likely heard of EHANG before. Earlier this year, the company shocked everyone at CES 2016 by unveiling its prototype autonomous aerial vehicle designed to carry a single human occupant, the EHANG 184.